B. 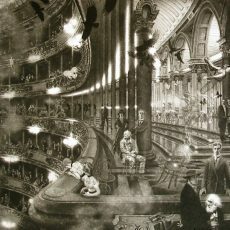 1930 - A creator of black and white etchings and engravings that often display an extraordinary degree of photo-realistic detail placed in the service of a truly visionary aesthetic, his themes include architecture, history, myth, and memory, their intersections and hidden juxtapositions. His pieces often compress long periods of time into a single moment, as in "Family Reunion" and "The Train from Munich." 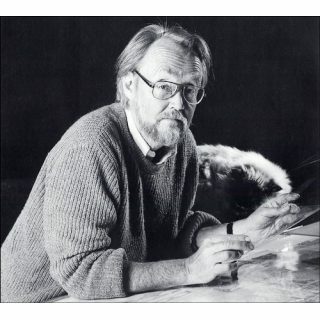 Peter Milton received his MFA from Yale University in 1961. His work has been exhibited in most major museums in the U.S. and Europe, including the Metropolitan Museum of Art and the Museum of Modern Art, New York, the British Museum and the Tate Gallery, London, and the Bibliothèque Nationale, Paris. Two major book-collections of his work have been published: The Primacy of Touch: The Drawings of Peter Milton (New York: Hudson Hills Press, 1993) and Peter Milton: Complete Prints 1960-1996 (San Francisco: Chronicle Books, 1996).